Rachel Bennett, produce manager at Durango Natural Foods. 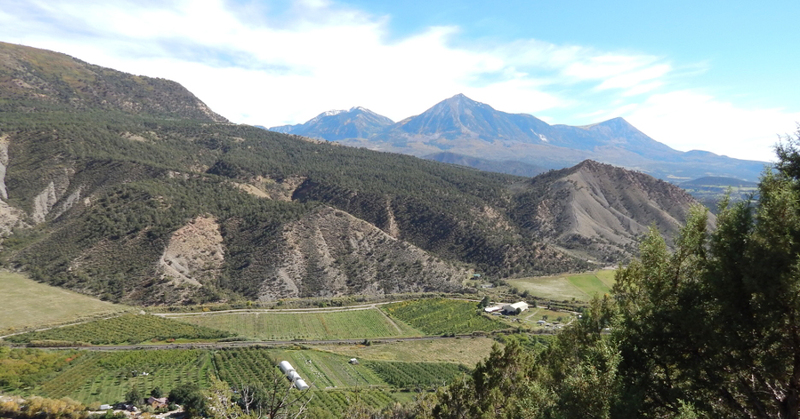 Forty years ago in Southwest Colorado, organic food was a small blip on the culinary radar. Maybe you remember the first natural food stores sprouting throughout the nation: baskets of odd-smelling carob balls parading as candy, jars of disintegrating legumes which seemed less like dinner and more like something to store in your underground bunker in case of emergency. 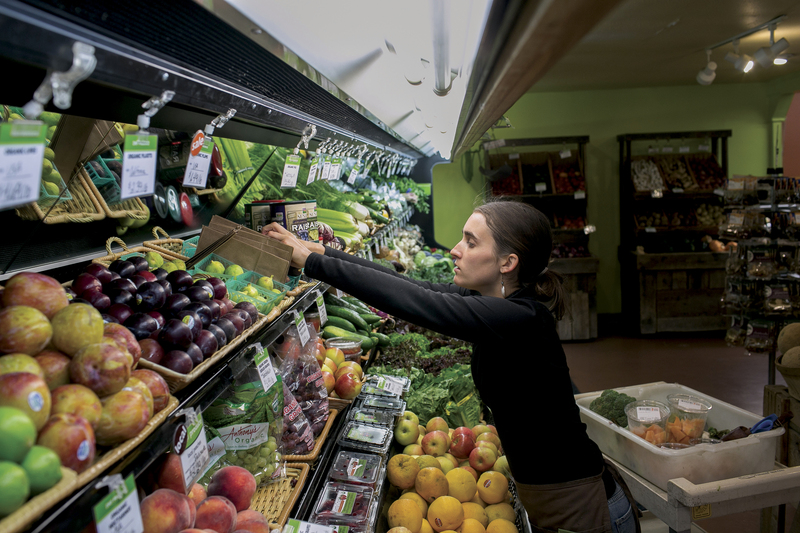 Thankfully, organics have come a long way, marrying the age-old practice of growing chemical-free food with our new expectations for freshness and variety. In Southwest Colorado, we have a few early, inspired, local pioneers to thank for paving the way. Durango Natural Foods (DNF), one of currently eleven food co-ops in Colorado, is celebrating forty years in business. 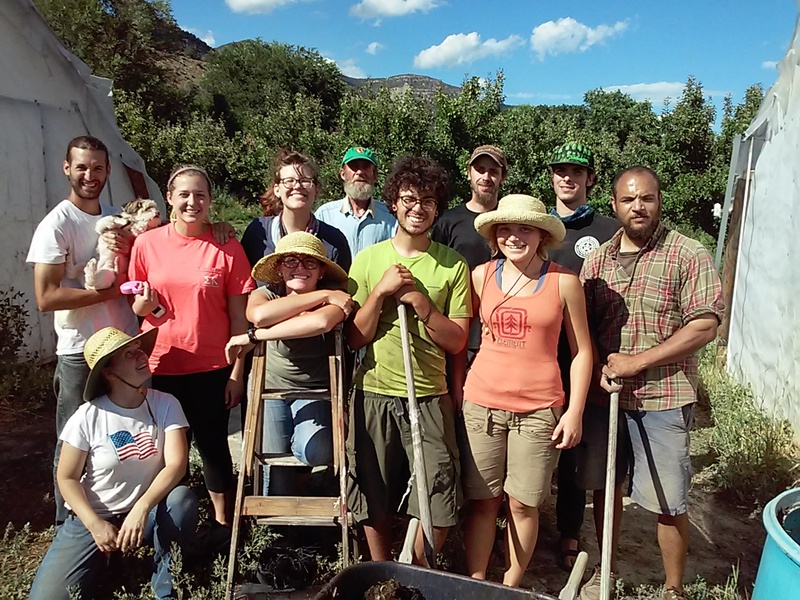 Back when Durango was awash in a (feedlot) steak and (conventional) potatoes mentality (with a side sprig of neglected parsley), a small group of people conspired to bring fresh, organic food to this little mountain town. Pat Blair, involved from the early days, remembers when DNF was a completely volunteer-run endeavor, its “cash register” a red tackle box from which patrons were responsible for making their own change. Blair’s daughter, Katrina (ostensibly one of those volunteers), recalls working on roller skates: sweeping, mopping, and writing prices on jars when she still wrote the number 6 backwards. Over forty years, the co-op has transitioned through many homes, from a rented 10’ x 30’ room to its currently-owned, big-enough home at 575 East 8th Avenue. It boasts a vibrant deli, an array of bulk foods, and educational classes on healthy living. These days you can get everything from local eggs to homemade kimchi, and plenty of ordinary and gourmet organic items in between (no odd-smelling carob balls in evidence). Long may it continue. The owners of White Buffalo, known for its fruit – cherries, apricots, plums, peaches, apples, pears – have expanded their vision over four decades while retaining their ideals. In the 1970s and 1980s, White Buffalo was the only regional supplier of market quantities of certified organic fruit. Their pears were the original source of organic pears for the nation’s first organic baby food, Earth’s Best. White Buffalo is one of the few remaining Colorado organic entrepreneurs from the ’70s and ’80s. Others have folded or been bought by large, off-site corporations. Wayne Talmage is now looking toward retirement, hoping to find a buyer to whom this unique and special torch can be passed.